Like us on Facebook! If you’re already a fan then you’re good to go! 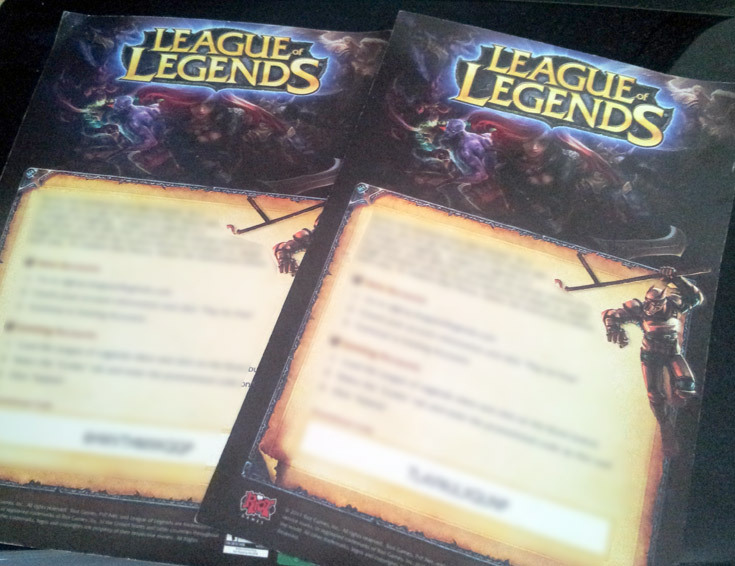 Sign up here and Log on to League of Legends! If you have an account already, that’s great! Anyone that plays in our room will be entered into the drawing that will between the 9 – 9:30 pm depending on the status of our games. And the last one will be near the end of the stream around 11 pm. Winners will be contacted via in-game and Facebook message for their e-mail. If winners do not respond within 2 days, prizes will be forfeited and a new winner will be drawn. These codes will only work on the North American servers so please make sure you are playing on the right region.